Briquetting is the transformation of a powdery or granular material into a larger more convenient size. This is accomplished by compacting the material with a roller press sometimes in the presence of a binding material. The briquettes can be produced with high or low pressure and can undergo mechanical or thermal treatment according to the characteristics of the processed material, the binder is used and the desired end product is complete. Our briquette press has two larger rollers in a fixed position in the frame. The other two smaller rollers are moveable. 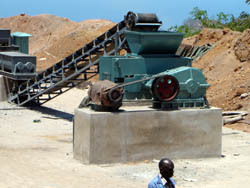 As its named implies, it has four rollers and does twice the pressing in the production of briquettes. 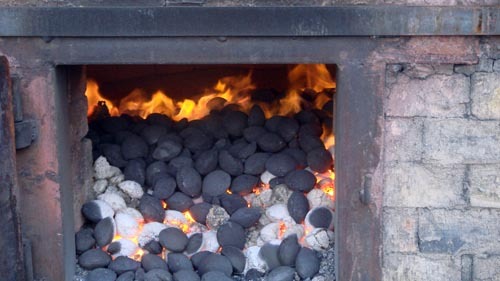 The briquette is stronger and has in a higher density, and the surface of briquettes is smoother. This machine is an automatic proportioning feeder that is used together with a mixer, it can automatically perform feed proportioning procedure according to the proportion setup of customers. It can fit with one or two sets mixers, thus effectively improving the working efficiency. It is composed of feeding unit, proportioning unit, electronic control system etc. Its design is reasonable, structure is compact, electronic sensor and control unit adopt imported high quality components, the proportion is exact and sensible, the operation is simple. 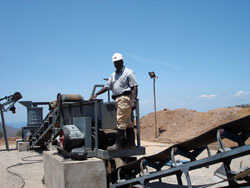 This machine is used to mix the grinded charcoal dust (charcoal powder) with water and binder etc. 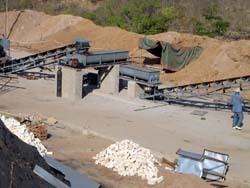 It can automatically discharge the mixed material without manual help. 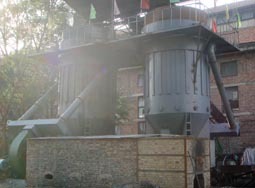 This unit is used to dry the charcoal briquettes outlet from briquette press machine. This unit uses hot air as the drying medium to contact material continuously, enabling moisture content in wet material to be gasified and to be evaporated, to achieve the purpose of drying. 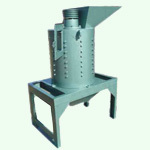 This unit is suitable for drying of powdered charcoal product, also for drying of other products similar to the powered charcoal product. This unit is composed mainly of a dryer, the centrifugal fan, and the hot-blast stove. The machine is used to convey powder material, grain material and small lumpy material that are easy to fish out. It can also used to the pack materials such as coal, detritus, gravel, cement, fertilizer, etc, whose conveying pile density is less than 1.67t/ m3, The temperature of the conveyed material is less than 60℃. The length of the machine and the shape can be made according to the demand of the client. When you transmit the materials, you can use the electric roller or driving-equipment with driving-stand.